The yoga classes were really quite special. How great is it to organise everyday around what yoga class you want to take? I tried out a few different forms and went back for some introductory ones as well. I even had the chance to try some meditation classes too. That’s hard. In fact sitting still is hard. I must admit I struggled the first few days, when I took away all distractions and was just left with simply nothing to do. I didn’t realise that even though I had been travelling on my own up to now, I had never really stopped and sat with my thoughts like this. It was a surprisingly hard thing to do. But now I am into my stride. Of course, it helped that in addition to yoga schedules my only other decision each day was what to eat and what lounger to pick at the pool. Life is good. 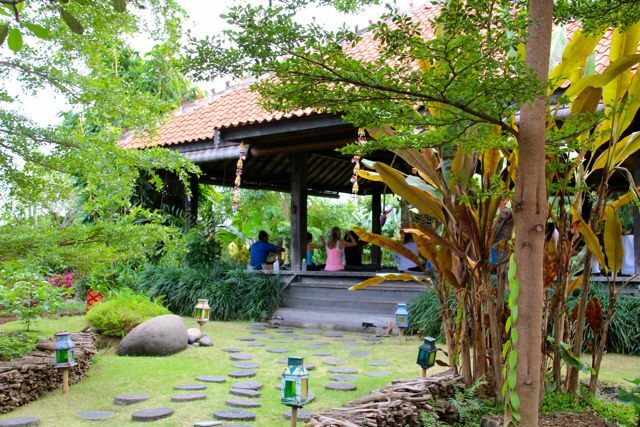 Off to Ubud today for more yoga.